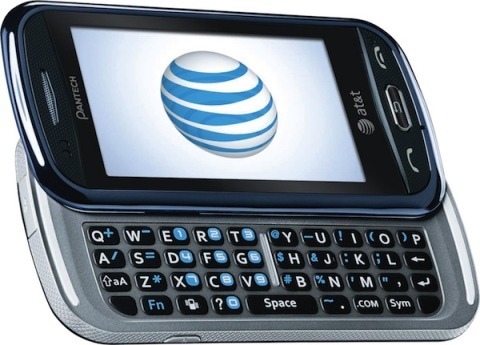 AT&T has officially announced the upcoming launch of Pantech Laser quick messaging phone, which claims as the thinnest, slide-out full QWERTY keyboard mobile phone that AT&T has ever offered, measuring just 9.95mm at its thinnest point. Pantech Laser is featured with a 3.1-inch AMOLED touchscreen display, 3-megapixel camera, Drawing Commander and an array of renowned AT&T mobile services, including AT&T Address Book, AT&T Navigator, AT&T Social Net and AT&T Mobile Share. Pantech Laser which measures 4.45 x 2.28 x 0.39 inches and weighs in at 4.06 ounces is scheduled to be available exclusively for AT&T customers starting October 17 for $99.99, after $50 mail-in rebate with 2-year service contract and pay $20 monthly for messaging or combination of messaging/data service plan.